Working out can be such a pain. So, if you’re tired of driving to the gym just to run on the treadmill alone, taking classes that are honestly just boring, or trying to lift weights and make gains that leave you too sore, you are not alone! 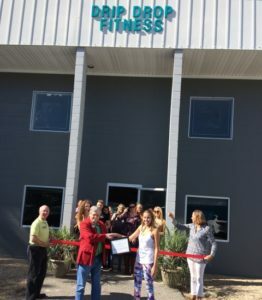 Our goal is to bring a new type of workout to Tallahassee – a personalized “it” place that offers dynamic fitness classes in a unique environment. Drip Drop Fitness provides a space for women in Tallahassee to escape the mundane. Come move, dance, and sweat your way to a healthier lifestyle. Tallahassee is constantly growing and changing, so why should your workout routine stay the same? Drip Drop Fitness was designed with you in mind, to be not just another fitness studio but a place to connect, let your guard down, fuel your motivation, and have fun! Dance experience is not required, so come as you are. Whether you have two left feet or 10+ years of professional training, we promise you will be hooked in no time and our classes will keep you coming back for more!